"You have very deep pockets but your shelves are bare. Go on a shopping spree at Hake’s to make your place a little more awesome." Normally this would be great, carefree fun. 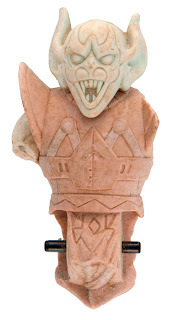 Going on an imaginary shopping spree, adding cool vintage items with loads of money to spend....except for one thing....Hake's currently has one of the Super Powers line's HOLIEST of Holy Grails up for auction. A prototype of Darkseid's head from the unproduced Tower of Darkness play-set. 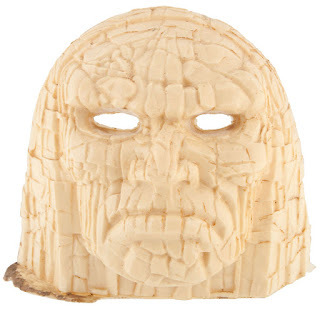 This represents one of the rarest and coolest pieces for most Super Powers collectors. This is one of the few Towers out there. 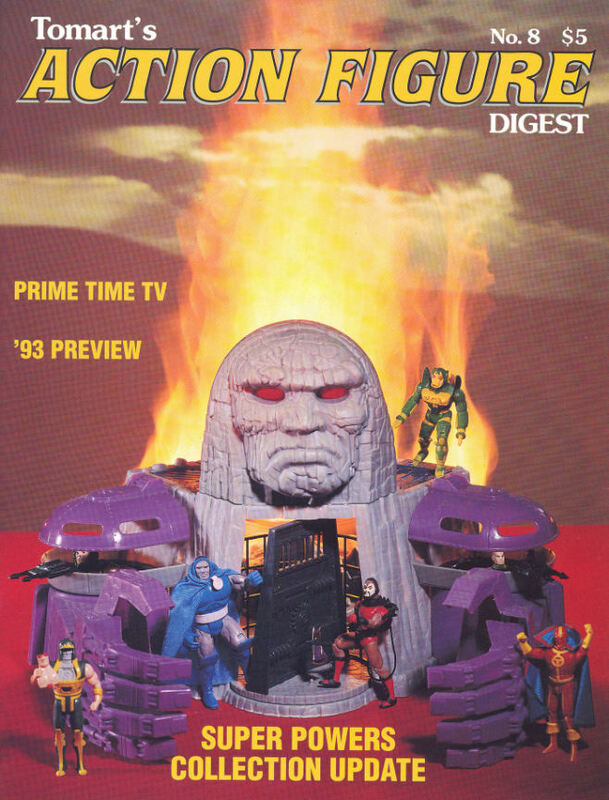 A truly incredible playset that most Super Powers fans wish made it to production. 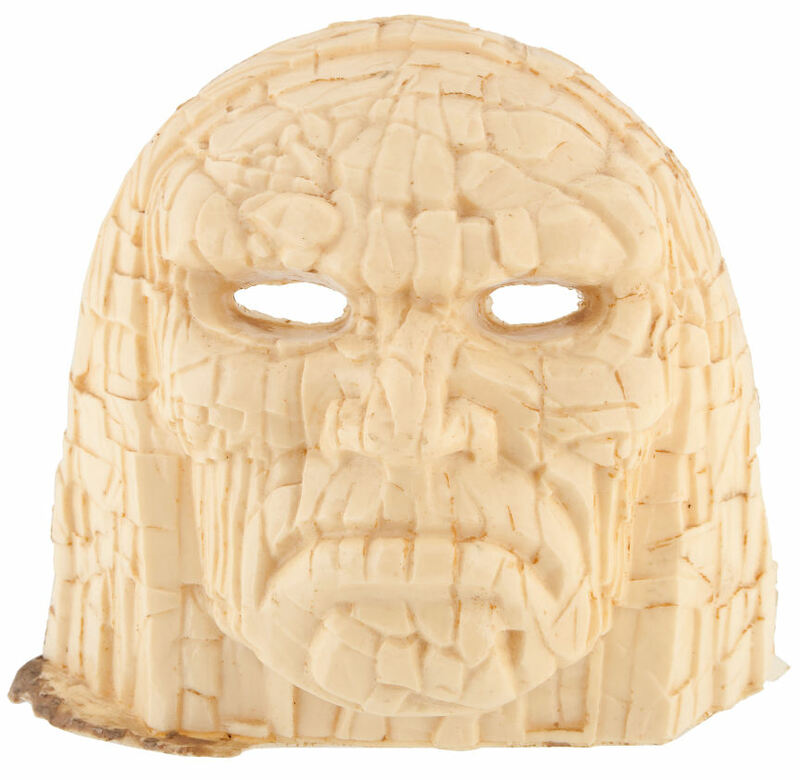 This is the prototype mold of Darkseid's head up for auction at Hake's. Totally amazing and unique. I would absolutely love to have this in my collection. Needless to say this would be one of my purchases from the recent auctions if I had loads of cash to sling around! Hake's didn't stop there with the Super Powers pre-production goodness. 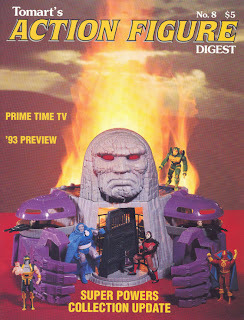 Above is a prototype of the second series villain Kaibak. He isn't a very well known character.Kalibak is often overlooked in the line. That being said, pre production stuff is rare and unique and I'd love it in my collection. For the final purchase with my deep pockets, I'd add (you guessed it) another Super Powers item. 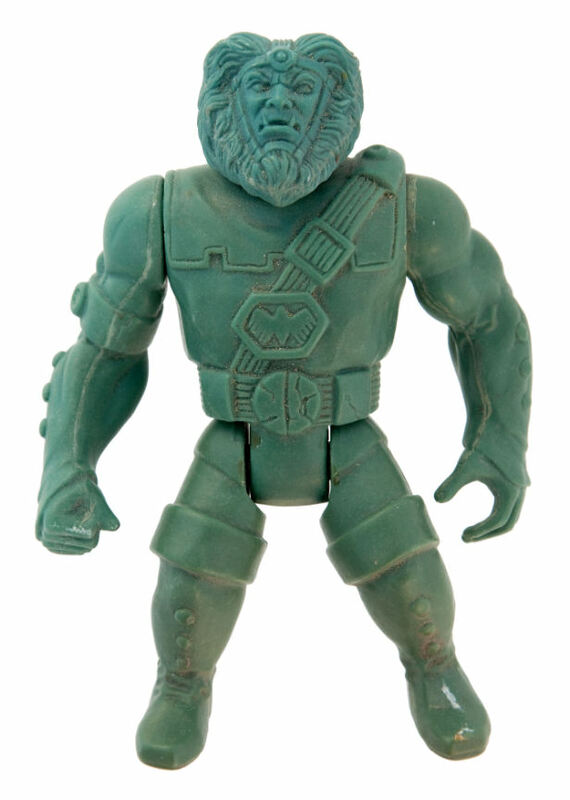 This is a wax master sculpt of another second series villain, the Parademon. Another rare and certainly unique piece of Super Power's history. I'm gonna go ahead and cut my shopping spree off there. I don't think I can torture myself any more with these awesome pieces that I know will never grace my shelves. I do really love my collection though and appreciate how many cool and rare pieces I do have. In this hobby you have to learn to be satisfied with what you have or you'll be flat broke, FAST! Superman and Batman unpainted first shot heads in non production colors. First series "Free Poster Offer" back of the card cromalin. These were used to make changes to the card before they were produced. Anyway, I'm thrilled to have these in my collection. Shawn over at Branded in the 80s is also after some neat pre-production stuff. Oh wow, I didn't see the Super Powers stuff. Nice pick! Thanks Shawn. How I wish I really did have those "deep pockets" Brian mentioned! Ha, it really is a great line of figures with so many interesting variations. I don't know if I'll ever consider my collection complete. Make Up Assignment - "Show Me the Green"
League of Extraordinary Bloggers - Seeing Red!